This is a list of Fallon’s best television parodies from Fallon's Late Night and Tonight Show stints. You will certainly recognize some old school classics like Jersey Floor and The Real Housewives of Late Night. Audiences and television fans have also delighted in Fallon's spoofing of scripted shows like PBS's Downton Sixbey and the wildly popular Netflix series House of Cards. Fallon is also responsible for getting the likes of Seth Rogen and Zac Efron to put on dresses and makeup in order to appear on his send-up of TeenNick shows, “Ew!” where everything is ew! It's hosted by Fallon playing Sara (with no h because h’s are ew!). Thankfully, these funny television parodies will live forever on the Internet. It was tough narrowing down the field, so let us know if we missed any of your favorites. You can also check out Ranker’s lists of Fallon’s best musical parodies and best sketches, those certainly deserve their own space! Also, be sure to vote up the funniest Fallon television sketches below. 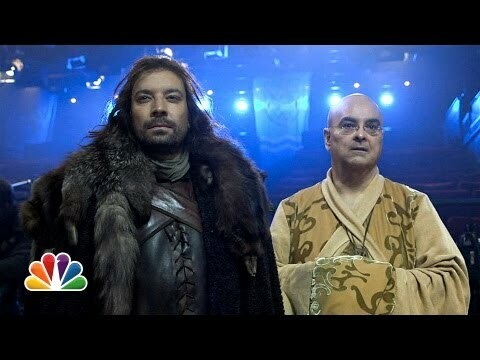 This sketch sends up the wildly popular HBO drama Game of Thrones. In this spoof, writer A.D. Miles stages a coup and takes over Jimmy's hosting job. Such a Cersei! Truly, a nearly perfect parody of the über-popular Netflix series about greed and power in politics. 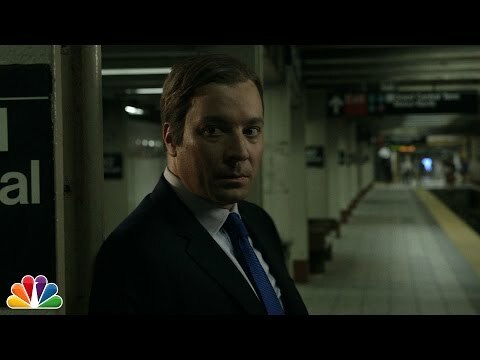 Fallon's spoof brings us behind the inner-workings of NBC as he attempts to prove that the politics of the Peacock are very similar to the backstabbing ways in HoC. All of Fallon's Jersey Floor spoofs were hilarious. This bit is the second of three episodes, and it gets a huge boost from two SNL aces - Tina Fey and Amy Poehler. The ladies unknowingly join the party on the mysterious Jersey Floor, but Jimmy "J Bro" Fallon and Steve "The Inflation" Higgins don't want anything to do with the stalkers.